Dr. Richard Szucs was Inaugurated this weekend as the President of the Medical Society of Virginia (MSV). 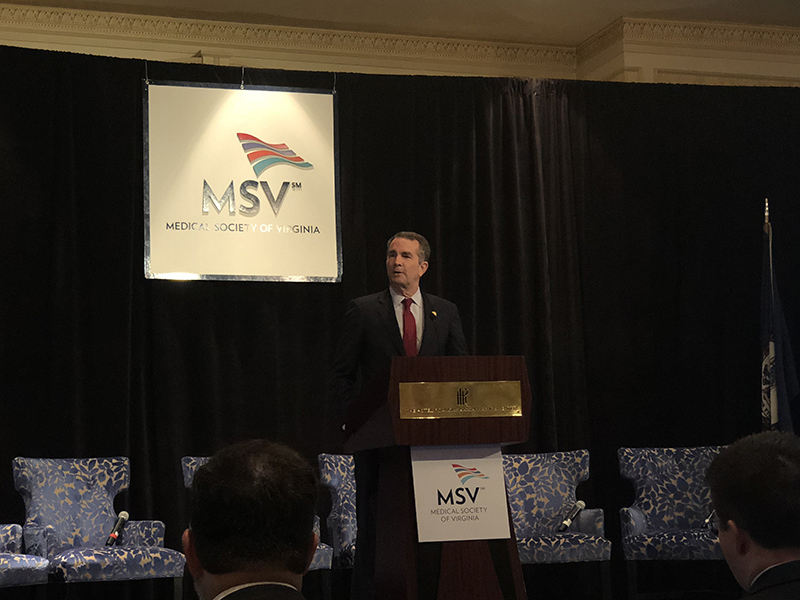 MSV was established in 1820, to support physicians in their practices. Dr. Szucs started his leadership experience as the Richmond Radiological Society President. He has been an active delegate and officer in the Richmond Academy of Medicine for many years and developed the Honoring Choices program. 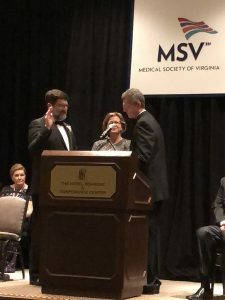 His service to the Medical Society of Virginia on many levels and in many capacities has prepared him for the Presidency. 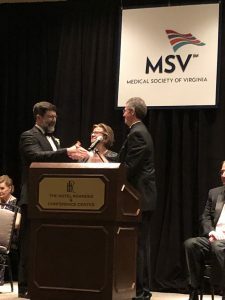 Dr. Szucs has also been very involved in the Virginia chapter of the American College of Radiology and as Chair in Radiology at St Mary’s Hospital in Richmond, Virginia. This past weekend, Dr. Ralph Northam, Governor of Virginia gave the keynote address, detailing his plan to address the Opioid Epidemic in Virginia as well as the initial steps for Medicaid Expansion in the state. 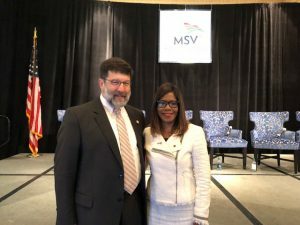 Other noted members of the panels included Dr. Patrice Harris, President Elect of the American Medical Association, and Dr. Daniel Carey, Commissioner of the Department of Health and Human Services. Dr. Szucs was sworn into the office by Dr. Carey. The ceremony and Dr. Szucs’ full inaugural address can be viewed on the Richmond Academy of Medicine’s Facebook page.